Over 30 years ago the National Transportation Safety Board advised all states to alter their drunk driving laws by lowering the legal blood alcohol limit from .10 to .08. But the NTSB and congress did not have the direct power to compel states to follow this recommendation through federal legislation. As a result, many states were slow to act on the recommendation and some simply ignored it for years. A few states, including our very own Maryland, likely would still have not ratified the .08 limit had it not been for the federal government employing an all too common backhanded tactic to force the hand of the state governments. States depend on the federal government for a variety of funding grants, but perhaps no single grant is larger than the money states are given to build and maintain highways. The federal money obviously comes at a cost, and congress has the authority to take it away as easily as it gives it. In the 90’s congress began to threaten to discontinue federal highway funding, which amounts to tens of millions, to any state that decided to exercise their constitutional autonomy by not following the NTSB’s recommendation. Federalism is great, but money talks, and by 2004 the DUI laws of all fifty states had incorporated a .08 BAC limit. Maryland held out until 2001. Almost ten years has passed since the NTSB won its 22-year fight to lower the legal limit, and now the federal agency is back at it with a similar fight. The board recently went public with a recommendation that all states now lower their legal limit to .05, which is a significant decrease of almost 40 percent over the current limit. The national annual death toll for DUI related incidents sits at around 10,000 and the NTSB has stated that this number could be reduced by as much as 10 percent with the change. Officials from the board cited research, which concluded that a .05 blood alcohol level alters depth perception and motor skills, and raises the risk of accidents by 39 percent. 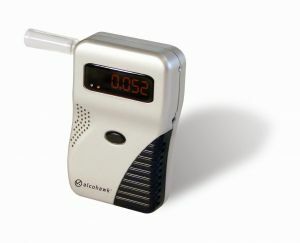 For comparison sake, driving with a BAC of .08 has widely been thought to double the risk of an accident. This new recommendation has been met with an enormous amount of criticism and disapproval from various groups. There are the obvious detractors such as liquor lobbyists and restaurant and bar owners, but there is also strong skepticism from a surprising source. The president of Mothers Against Drunk Driving, who hails from Upper Marlboro, is on record expressing doubt about the tangible benefits of the new recommendation. MADD believes drunk driving is better fought through immediate action such as increasing the number of DUI patrol officers, installing more engine interlock devices on the cars of repeat offenders, and enhancing alcohol detection devices. The lobbyist group, which has enjoyed great success in shaping state DUI laws, does not want another 20 year battle in congress to take away any of the energy and resources from these immediate initiatives. At this point no Maryland politician has taken a public stance on the .05 legal limit. The governor’s office deferred all questions on the matter to the state’s department of transportation, who is reportedly looking into the matter. This is simple political code for let’s wait and see how the public reacts, and only form an opinion when we have to. At some point though this proposal may show up in an Annapolis legislative session, and the Blog will post again if the issue becomes relevant for our state. Benjamin Herbst is a DUI lawyer practicing in all Maryland jurisdictions. Contact Benjamin anytime for a free consultation about about any criminal or traffic incidents.